It is an oft-marvellelled paradox that hot weather and very long skirts complement one another; a swathe of swishy cotton around the ankles can feel much breezier than bare legs. 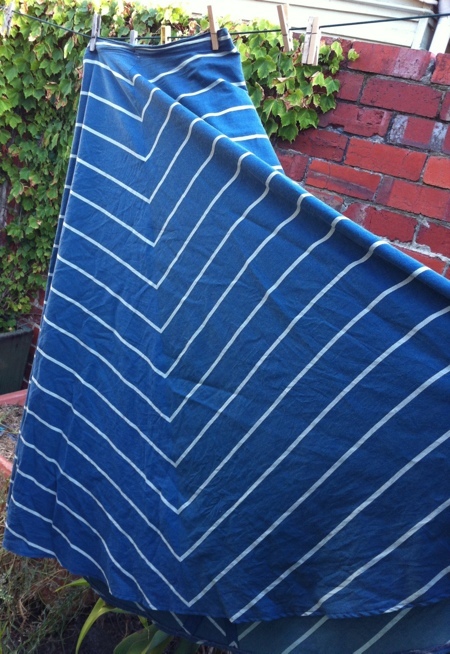 So I made one with some super cheap striped shirting and a 1970s pattern. Whole thing took just a couple of hours – too easy! I had to mess with grainlines to get a chevron out of the fabric – maxi skirts are greedy! There is one corner at the back where I had to piece in an extra bit, plus a fold tends to form at mid-front because of the grain, but it bothers me not. The stripes match and my reign as chevron queen persists. 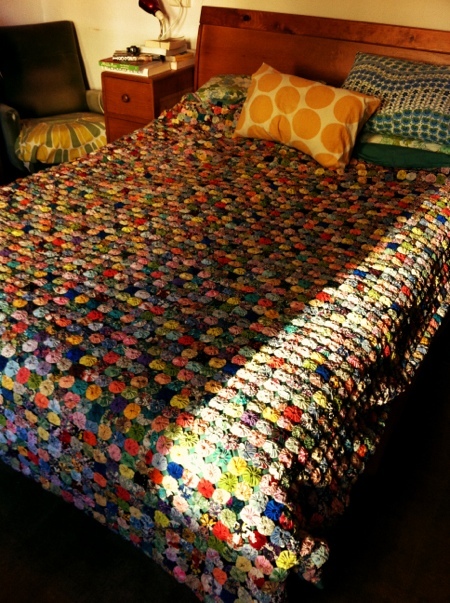 Last night I finished attaching the new back to the amazing yo-yo bedspread I was given. I sewed all around the edge by hand (cripes) while folding the excess around to make a binding. It’s a mad and wonderful thing and I love it. I still need to run some catchstitches through the middle of it, but here it is in its rightful place. The fabrics tell a tale of several women, several decades and their housedresses and the colours get more garish at the edges. Like my sewing projects themselves, this tutorial promises to be a bit slap-dash but with a lot of heart. But after the success of my New Year’s Eve dress, I feel it is a community service to show y’all how to turn an ordinary pencil skirt into a flouncy saucy fishtail. Coffin dress begone! So, let’s start with The Principle. The principle is to add volume without adding width to the whole skirt, thusly the fishtail is forced to go all crenulated and flouncy. 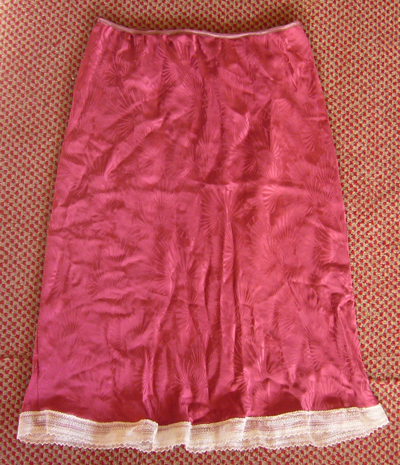 Individual results may vary according to the drape of your cloth; jersey and the like will flop down completely, while a stiff woven will stick out impudently. The fabric I used was somewhere in the middle, interlined with voile. Cutting on the bias is critical to optimise the hang. Now you’ll draft your fishtail piece. I’m going to get a bit symbolic here but fear not. Its top edge (x) needs to be the same length as the curve you’ve carved out but should be flatter. The sides of the piece (y) are the same length as the sides of the bit hacked out of the skirt back, only they are angled outwards so they’re on grain, or almost on grain. 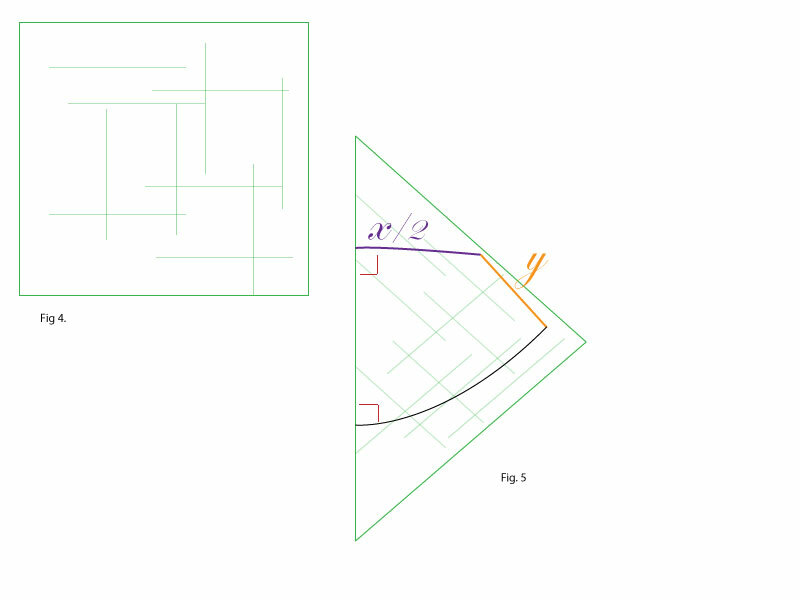 I’ve paired the lines in Fig 3 in purple and orange so you can see what I mean. The big difference that gives you the flounce is that the hem of the fishtail is a big, sweeping curve. You can experiment with all three parameters – top curve, side and bottom hem curve – to increase and decrease the flounciness of your fishtail. I’ve drawn in three possible hemlines in back to demonstrate. 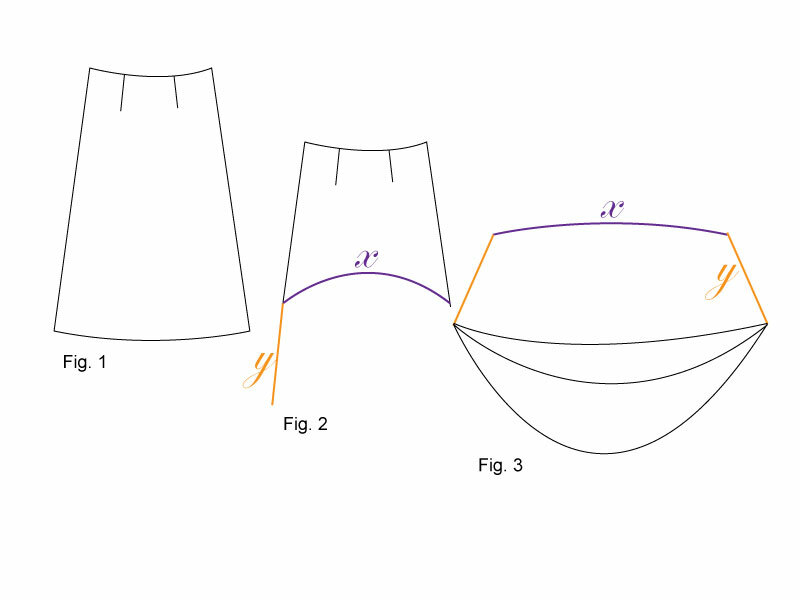 Obviously, the deeper this curve, the lower down the hem will fall. Be careful not to make it so deep that you’ve got some bridal trail action (unless that’s what you’re after) which will seriously impede your dancing. The last step is to add seam allowance to your fishtail. And lo, you have a pattern. Principles are all well and good but if you’re like me, the Practice can be quite different indeed. Finally, on to marking out the fishtail piece. If you’re principled, you’ll have a paper pattern to lie out here and cut out. Enjoy your lofty position because here come the scrappy method. 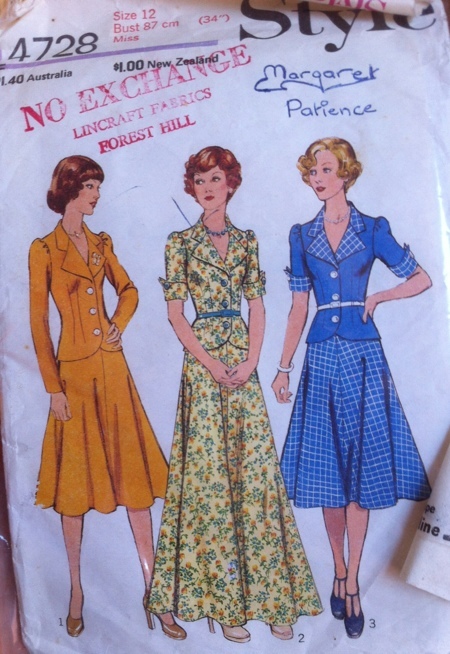 For my skirt there was no pattern. I just hacked at the skirt back itself and used that to mark a fishtail piece directly on to fabric. Bold! Lazy! Half-arsed! But brilliant! I stretched out the folded skirt back piece to get the flat curve at the top, angled out the hacked-off straight edge to get the fishtail edge, and just eyeballed the hem curve. The critical thing is to get the first section of your edge at a perfect right angle to the bias fold (see the wee red squares in Fig 5.). If you don’t, you’ll have a V-shape in the fishtail piece. Too hard. Stick to gentle curves. 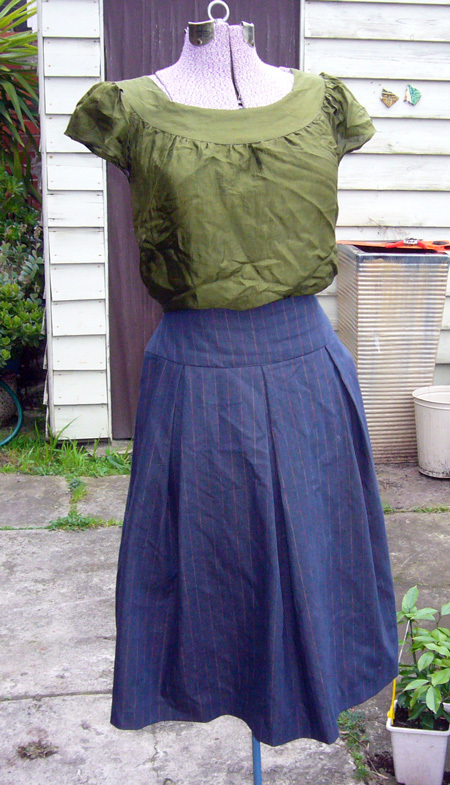 Then, sew curves, then sew skirt back to skirt front. Done. Time to sashay. OH. 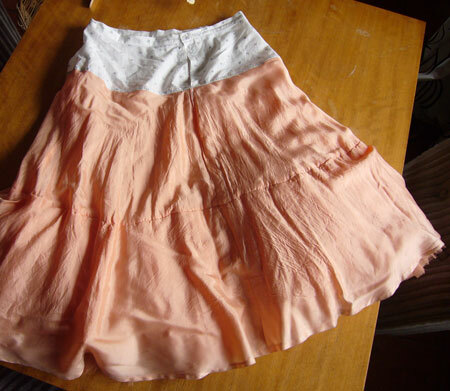 I also nipped in the edges of the skirt front an inch or two, so the front skirt was tapered. You can do this because of all the extra room your fabulous fishtail grants you. It’s the mullet of skirts… business at the front, par-tay at the back. Do tell me if you use this tutorial! I wanna see your fishtail! 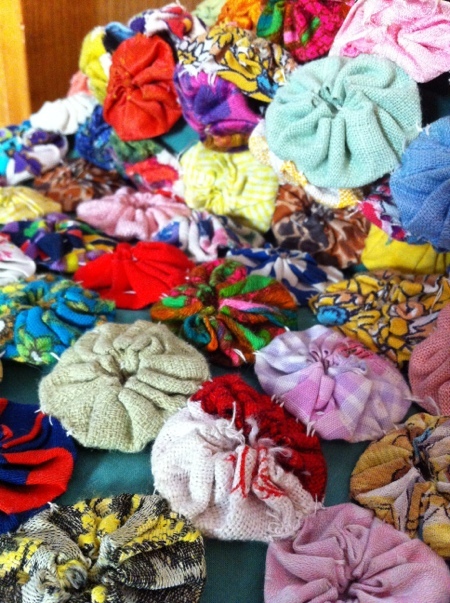 I rummaged around in the Pile of Shame last yesterday looking for a couple of quick projects I could finish. In a jiffy I eradicated two items from the Pile and elevated them to Wardrobe. I’m calling this an ‘ip’. It was a slip that I made over a year ago that never fit right on top. Never finished, never worn. In a handful of minutes I cut off the bottom half, sewed some elastic to the waist, and presto, a nice soft silk half-slip (or ‘ip’) for wearing under dresses that are just a little bit see through in the bright summer sunlight (remember poor, media-naive Diana Spencer who didn’t realise why this photographer wanted her to pose in the sun?). 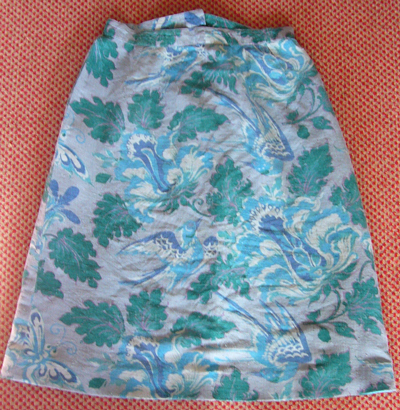 Thing two was a maxi skirt that I bought over a decade ago in a junk shop in Woodland, California. 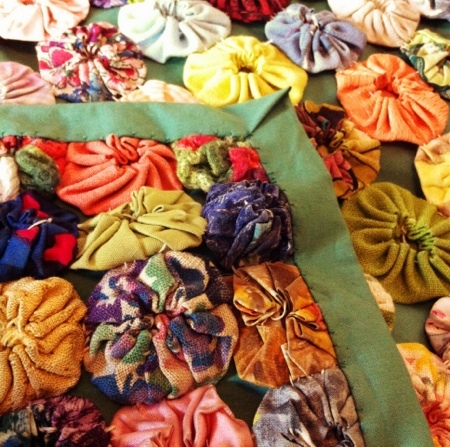 It’s made of a wild and lurid bird, butterfly and flower print raw silk. I wore it to a Dirty Three concert in San Francisco and thought I was the coolest thing ever. Problem is that it was, and always has been, too long, so I haven’t worn it since. It took maybe an hour to mark a new shorter length, hem it and tack down the side seam allowances that never sat flat. And I’m wearing both today. Yay!